What? 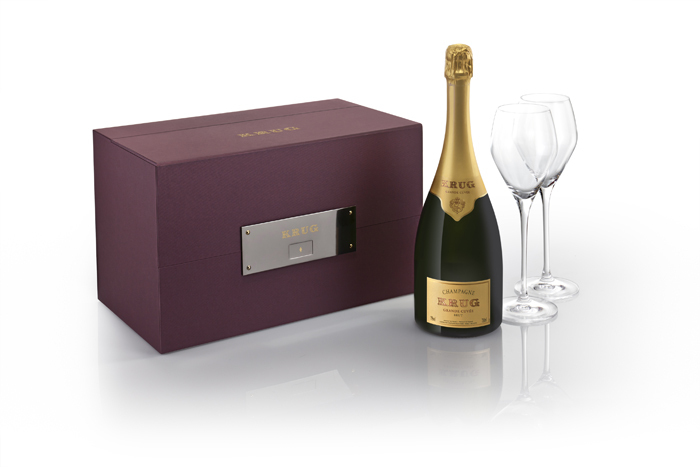 The champagne house has launched a new gift set which promises to “enhance and perfect the experience of tasting and sharing Krug champagne”. ‘The Sharing Set’ contains a bottle of Krug Grande Cuvée and two custom designed Riedel glasses that are designed to allow the optimal expression of the champagne’s profile. Priced at £150.